Terrific Location Near SDSU And A Few Miles To Highway 8. 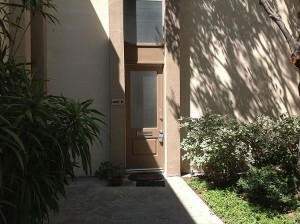 This 2 bedrooms, 2 full bathrooms, top floor fixer condo at 4885 Collwood Blvd B has a great layout for roommates. Living room has a fireplace, two storage closets and access to the covered balcony. It needs a serious cleaning, paint, flooring, appliances, etc. Due to condition, only cash offers will be considered. PreviousPrevious post:Part 5: What Improvements Should I Make Before Selling Probate or Trust Property?NextNext post:Part 6: What Improvements Should I Make Before Selling a Probate or Trust Property?